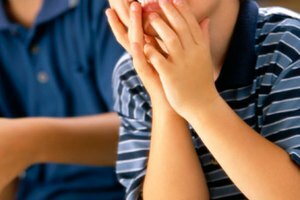 Avoiding eggs at the breakfast table is relatively easy. Plenty of other common options are available for the day's first meal. 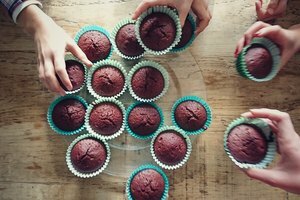 Replacing eggs in baking is a much more difficult task, and it's one that causes a great deal of grief to new vegans or those newly diagnosed with egg allergies. A variety of substitutes are available, all with their own quirks, but one of the most effective is ground flax seed. Eggs are an especially difficult substitution because they do so much in a recipe. The yolks add rich fat, and their emulsifiers help the remaining ingredients mix more effectively. The proteins in egg whites, on the other hand, solidify to help provide structure and leavening as the goods bake. Flax seeds make a surprisingly effective substitute. Their high level of healthy oils provides an adequate replacement for the yolks' fat, and flax also helps emulsify other ingredients. More importantly, the soluble fiber in the seeds' hard coats creates a firm gel when soaked in water. The gel helps give baked goods the rise and elasticity they'd ordinarily get from egg whites. The basic technique for using flax as an egg substitute is clear and straightforward. For each egg you're replacing, stir 1 tablespoon of finely ground flax seed into 3 tablespoons of cold water. Let the mixture rest for a minimum of 5 minutes, so the seeds' soluble fiber can form its gel with the water. Large eggs average ¼ cup each, or 4 tablespoons, so this makes a direct 1-to-1 replacement. Stir or beat the gelled flax seed into your dough or batter, and proceed as you normally would. 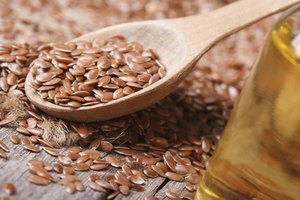 The flax substitution is best used in recipes in which eggs are not the featured ingredient. 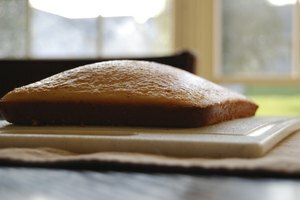 Flax won't foam as egg whites do, for example, to make airy sponge cakes. Neither will they thicken a filling or custard. 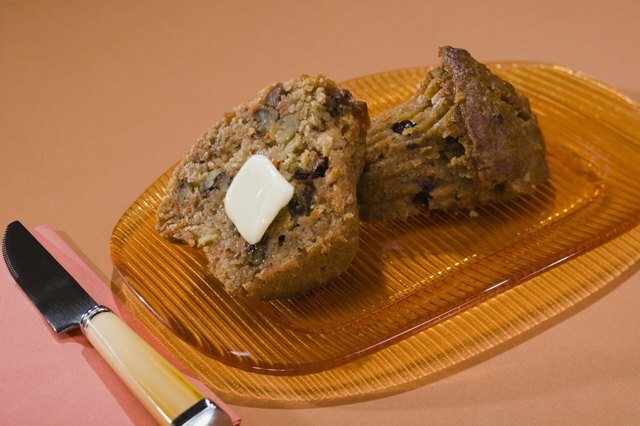 They're a better choice for cookies, muffins, breads and other goods where their brown color, sandy texture and nutty flavor can pass undetected or -- better yet -- complement the overall recipe. Goods baked with flax also tend to brown more quickly, and in some cases can yield a denser, chewier end result because of their lesser leavening power. 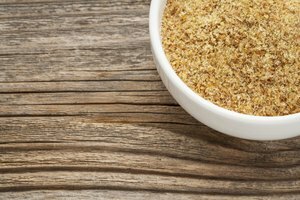 Recipes intended for use with flax meal are typically adjusted to counter those issues, but you can easily adapt standard recipes as well. Use golden flax, rather than brown flax, to minimize the effect of its color on your baked goods. Counter flax's browning effect by reducing your baking temperature slightly, or by covering the baked goods loosely with a sheet of foil in the later stages of baking. To compensate for the reduction in leavening, add 1/8 teaspoon of baking powder for every egg you've replaced with flax. This provides a modest degree of extra lift and will help restore your baked goods to their normal height and lightness. 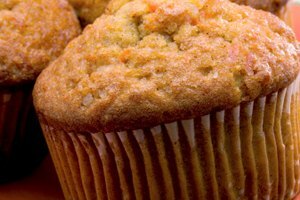 What Happens if I Don't Use Eggs in My Muffins?